Synopsis: Reports that a lizard-like reptile is attacking infants and infirm people in coastal towns on the island of Costa Rica are attributed by the natives to the "hubia, " or "raptor," are ignored by the authorities. That is, until an American doctor working in Costa Rica treats two patients who have both been attacked by the "hubia." Their test results, which indicate that they have been poisoned by a mysterious venom, are passed down to Dr. Alan Grant, a renowned paleontologist who is working on a dinosaur dig in Montana with his associate, Ellie Sattler. Grant has just uncovered another fossilized velociraptor skeleton in the Montana Badlands, and is interrupted by a phone call from John Hammond, his wealthy sponsor for the dig. Hammond insists that Grant and his assistant, Dr. Ellie Sattler, fly down to Hammond's private island near costa Rica for a consultation. They are to be joined by Gennaro, a lawyer for InGen; Ian Malcolm, a mathematician specializing in the field of chaos theory; and Tim and Alexis (Lex), Hammond's young grandchildren. 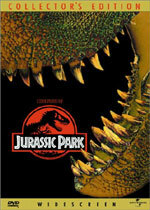 A tour of Hammond's crowning achievement, the as-yet-unopened theme park, Jurassic Park, proves deadly as the security systems go off-line and the untamed dinosaurs overtake the island, killing anyone and anything in their path. 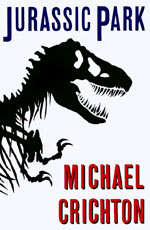 The unwelcomed human visitors are separated and each group must find a way back to safety -- and stop the rampaging dinosaurs.